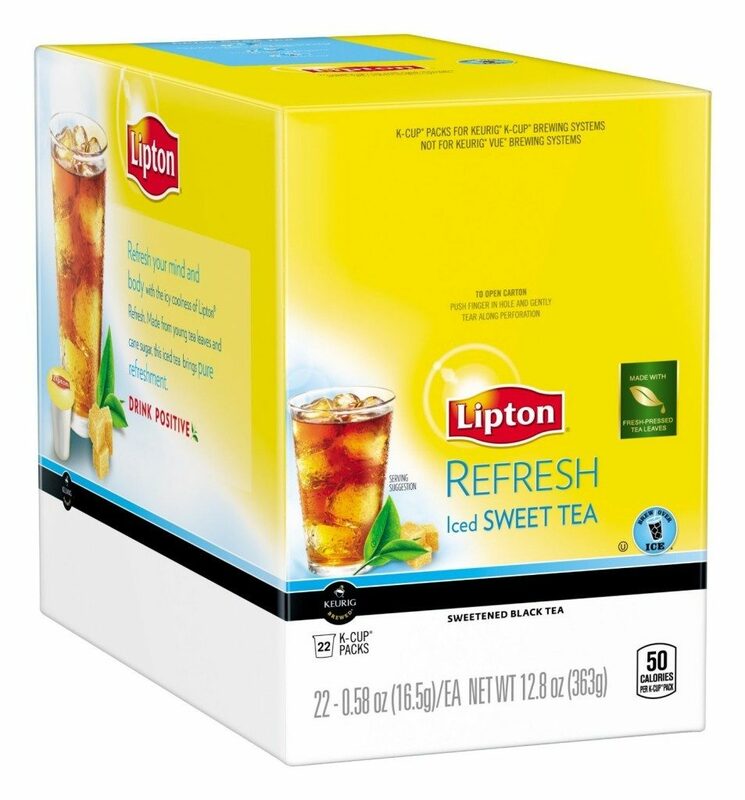 Lipton K-Cups, Refresh Iced Sweet Tea 22ct Only $5.71 + FREE Shipping! You are here: Home / Great Deals / Amazon Deals / Lipton K-Cups, Refresh Iced Sweet Tea 22ct Only $5.71 + FREE Shipping! Head over to Amazon and get Lipton K-Cups, Refresh Iced Sweet Tea 22 ct for $6.38 after you clip the 30% off coupon in the center of the page and select Subscribe and Save. Even better, the price will drop to only $5.71 when you subscribe to five shipments in the same month. Remember, you can cancel your Subscribe and Save Subscriptions after your first order ships.